Most people wouldn’t mind starting the day with a bowl of warm, sweet oatmeal. So imagine taking that level of comfort and adding it to your skincare routine. 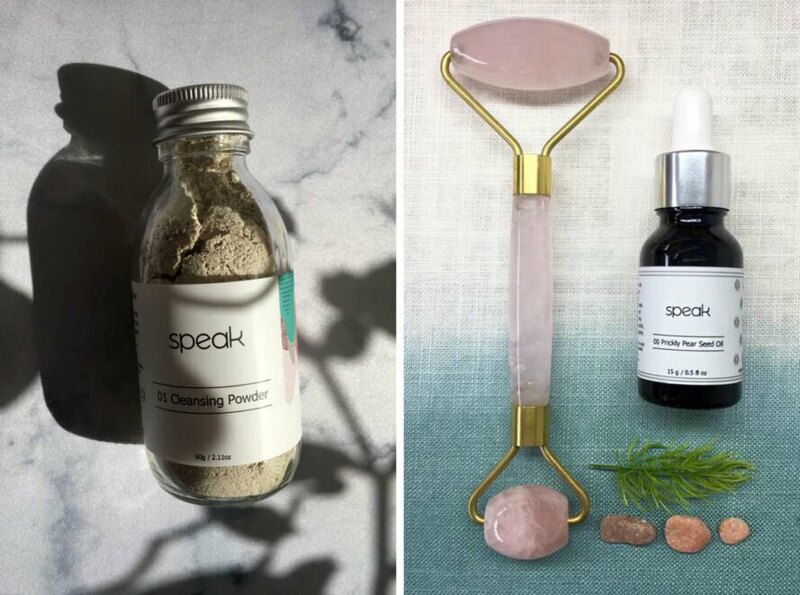 This is exactly the kind of experience you get with Speak’s cleansing powder, a simple powder that comes packaged in an adorable glass jar. The best part of “01 Cleansing Powder” is the main ingredient, organic oats. After testing the cleanser for a few weeks, this product has become one of our favorite ways to start our day. Speak’s cleansing powder harnesses the power of saponins and antioxidants found in organic oats. Together, these properties gently cleanse the delicate skin on your face and soothe redness and irritation. In addition to the oats, lavender adds a natural fragrance, kaolin clay cleans deeper to remove dirt and grime and sweet almond oil leaves your skin soft and moisturized long after you’ve finished washing. In a nod to “waterless beauty,” or beauty products that eliminate water as a filler, this natural cleanser comes as a powder in a 0.5 or 2 ounce glass jar (complete with a metal cap — all reusable and recyclable!). A little goes a long way here. Each morning, we add just a dime-size amount of the powder in the palm of our hands. Carefully mix in just a few drops of water to make a thick paste, and then gently rub it on your face. We like to move in upward motions, which can help with lymphatic drainage. It’s incredible — the cleanser smells exactly like our favorite bowl of oatmeal. After rinsing the paste from your skin, you’ll instantly notice how soft and smooth your face feels. While it doesn’t seem to be the right consistency for removing eye makeup, it does move face makeup with ease. It works well for cleansing in the morning or at night. Speak’s line of natural, vegan, cruelty-free skincare (plus clean packaging) doesn’t stop there. We have also tested the natural deodorant, which is incredibly effective at keeping odors at bay, and the prickly pear seed oil, which boosts the moisture in your skin and smells light and pleasant. Founders and cousins Mutiara Pino and Nisa Zulkifli founded Speak in December 2017 after battling with ever-changing, hormonal skin and eczema, respectively. Their mission is to provide clean skincare using natural ingredients from ethical sources in reusable, recyclable, upcycled and/or compostable packaging at affordable price points. 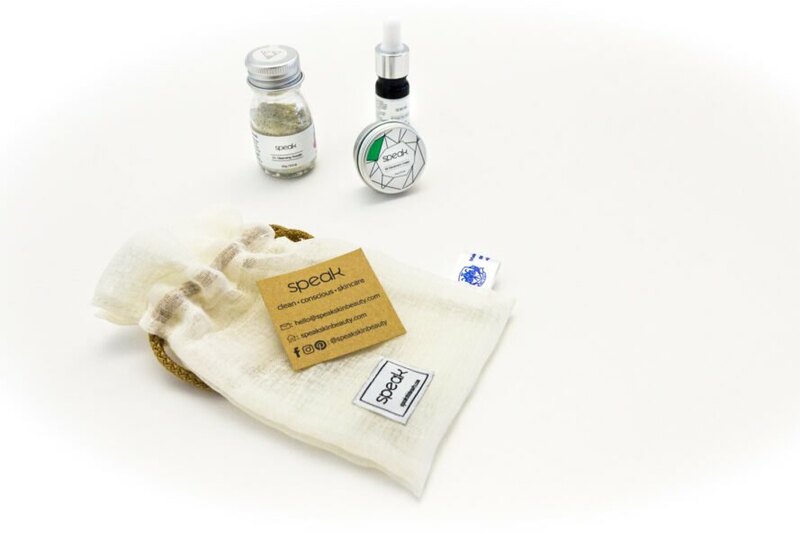 We highly recommend checking out Speak’s skincare, starting with the oat-based cleanser. See more products here, and learn more about the company’s values here. Editor’s Note: This product review is not sponsored by Speak. All opinions on the products and company are the author’s own.